Whittier lies nestled at the base of the Chugach Mountains and the head of Passage Canal approximately 65 miles from Anchorage. Whittier was named after the American poet John Greenleaf Whittier in 1915 and was used as a World War II port for cargo and troops of the Alaska Command and remained active until 1960. This gorgeous 15,000 square mile region is home to a host of remarkable birds and marine life, the deepwater sound boasts more tidewater glaciers than anywhere else in North America. Visit the sheer, awesome giant wall of ice which is one of Alaska's most popular attractions. Watch as fractures of ice break off and crashes into the icy sea water below. Anchorage is a modern city in Alaska and surrounded by spectacular wilderness and a gateway to nearby mountains including the Chugach, Kenai and Talkeetna, you can also enjoy world class attractions including the Alaska Native Heritage Centre. 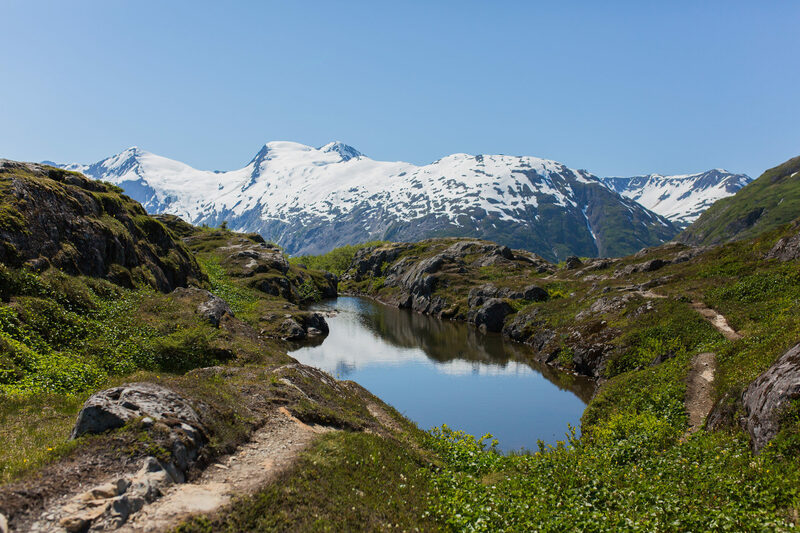 This 125 mile highway links Anchorage and Seward it's one of the designated "All American Road" routes in the United States, it offers breathtaking views of wild Alaska and the chance to see wildlife.